“The Albatross came to the team a little over a year ago when we were in search of a high grade, affordable UAV platform for personal use,” said Catherine Edmonds, Applied’s Director of Marketing. “Unfortunately we found that unless we were willing to dig deep into our pockets we were left to rely on an inferior product to meet the demands of our complex tasks. We were anything but satisfied with this reality”. 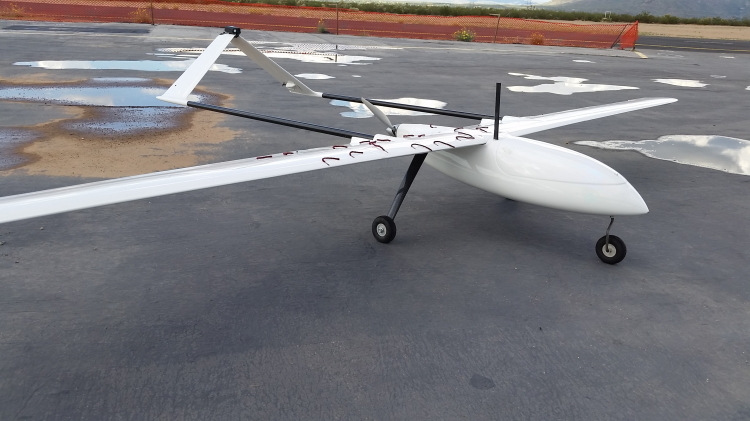 The launch of the Albatross UAV establishes Applied Aeronautics as the only provider in the market with the ability to deliver a fully composite airframe that combines the benefits of affordability and maximum performance without sacrificing quality. Applied Aeronautics designed the Albatross UAV to be the most efficient of its kind. It offers low stall speeds, high max efficiency, a large cruise window and payload capacity, built-in wing component bays, an entirely electric propulsion system and a 10 foot wingspan. It is also nearly silent, can fly for over 2 hours, reach speeds of up to 90 MPH and travel for over 100 miles. Its transformative design allows for dynamic use. Applied offers DIY Kits and Ready to Fly models that enable the Albatross to takeoff, fly and land autonomously via predefined flight paths. The UAV's capabilities are further maximized by adding a thermal camera for heat detection, NDVI camera for crop health assessment, or HD camera for land surveying. In conjunction with the launch of the Albatross UAV, Applied Aeronautics also announced the launch of its line of supporting products starting with AppliedHD their proprietary High Definition Video, Low Latency, and Affordable Streaming Device. The Albatross UAV is available today through the Applied Aeronautics Online Store.